I've been away for awhile, I'm happy to report I was getting married. 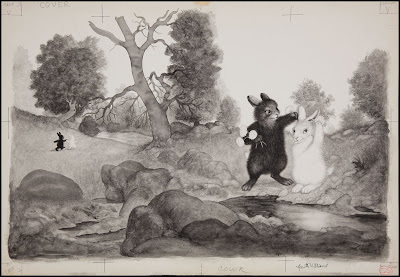 To celebrate, here's a scan of the cover art for Garth Williams' 1958 book The Rabbits' Wedding. Congratulations - I don't know what to say in english !